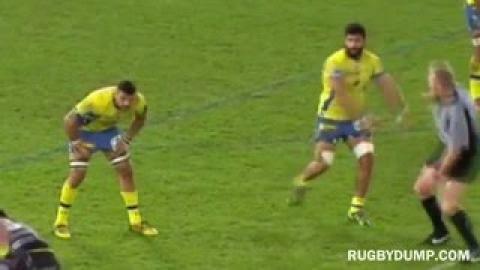 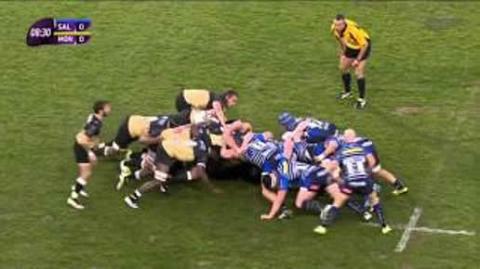 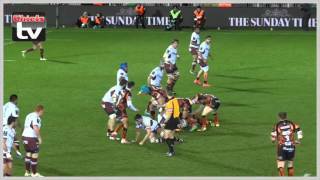 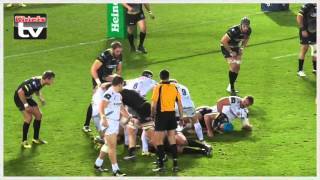 Clermont flanker Viktor Kolelishvili shoves referee Wayne Barnes! 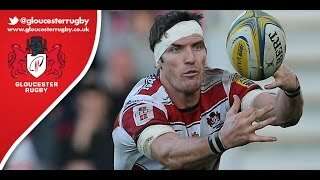 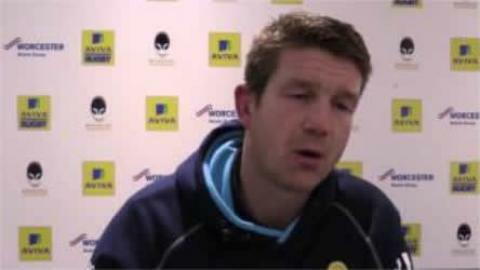 The Head Coach draws the positives from Warriors' European Challenge Cup clash with Gloucester. 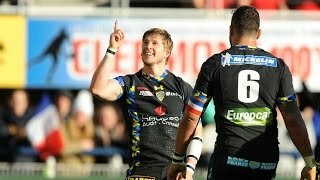 Deux très beaux essais n'est-ce pas ? 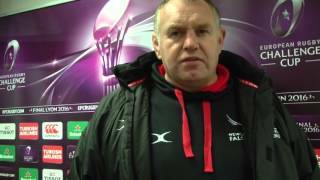 Ulster's Director of Rugby, Les Kiss, admits that Saracens were the much better team in Friday night's Champions Cup clash at Kingspan Stadium. 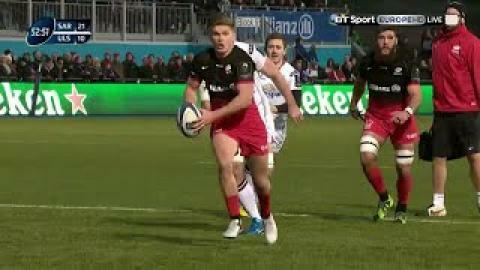 Reaction from Kingspan Stadium after Saracens produce a mesmerising performance to claim a bonus point win against Ulster. 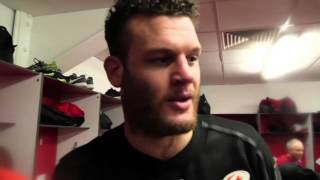 George Smith looks ahead to Sunday's clash with his old side and says that nobody at the club is under any illusions about the size of the challenge as they prepare to take on Toulon at the Ricoh Arena. 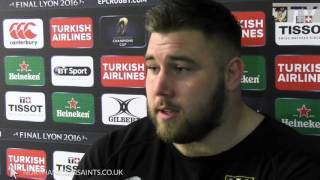 Saints boss Jim Mallinder discusses this weekend's trip to Glasgow, as well as the sad news of the passing of Jonah Lomu.